If you need a seat for your stand up scooter then this scooter seat kit is just what you've been looking for. 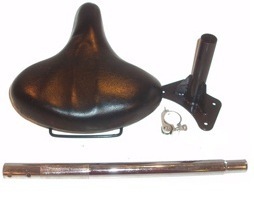 The scooter seat kit comes with everything you see for installing it on your scooter. Works with lots of models of scooters and brands such as Evo, Xtreme, and Bladez.